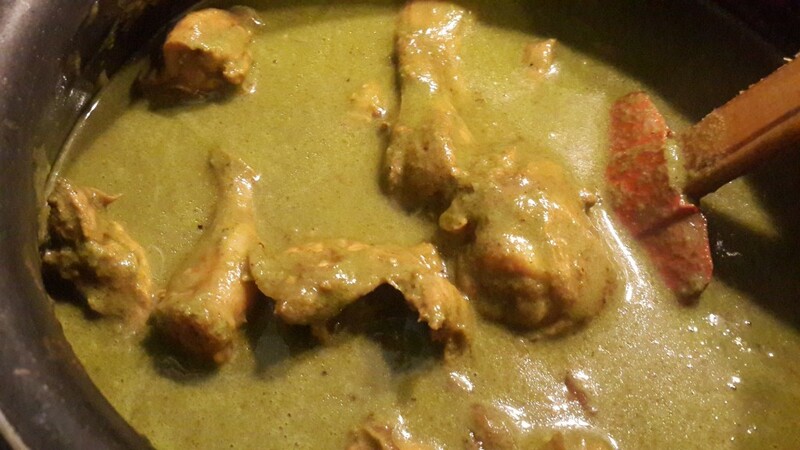 Chicken in red and brown curries is the norm; a green gravy, though not a recent discovery, is a refreshing change. This recipe blends some local spices to bring together a lovely Portuguese dish that’s loved and respected along the south-western coast of India. Nothing quite compares to the perfect ‘hot n sweet’ balance this dish offers. Give it a try! The Fact: This famous Goan dish is a version of grilled chicken from the former Portuguese colonies in Africa. The name is believed to have originated from ‘kaffir’, which is what the local Africans were called. The Inspiration: I came home last Tuesday evening knowing exactly what I wanted to eat for dinner—chicken curry with rice. But bored of the many red and brown curries I’m used to making, I decided on a spicy green version, which I learnt from my mother in law … something I’m sure you’ll love only if you have the palette for spice 🙂 This recipe blends some local spices to bring together a lovely Portuguese dish that’s loved and respected along the south-western coast of India. Nothing quite compares to the perfect ‘hot n sweet’ balance this dish offers. Give it a try! Wash and drain the chicken pieces for 5 – 10 minutes. 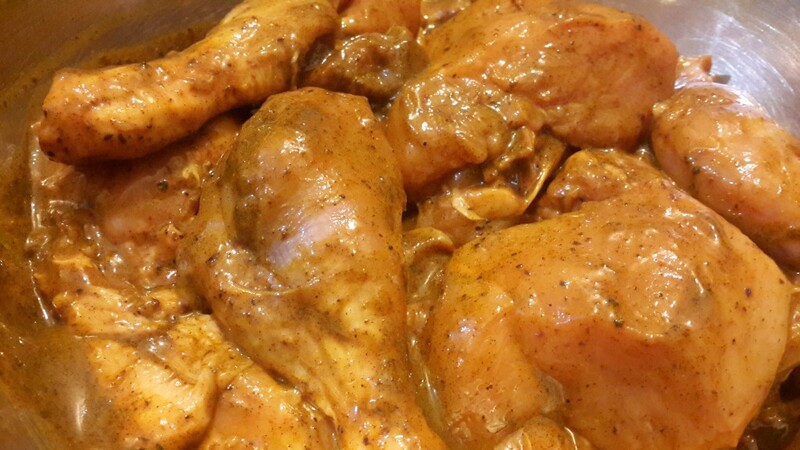 Marinate the chicken in turmeric powder, 8 – 9 sauce and salt, for about 30 minutes, if not more. 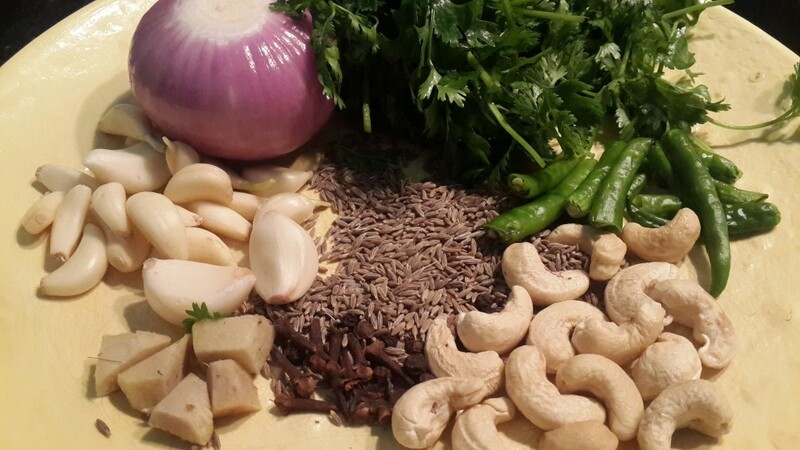 Dry roast the cloves, peppercorns, cinnamon, cumin seeds, poppy seeds and cashew nuts in a pan or in the microwave. Allow them to cool. 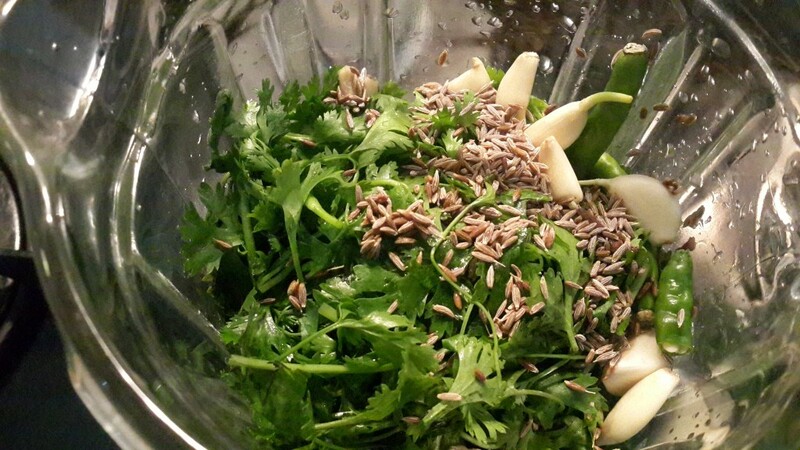 Grind together the large onion, coriander leaves (washed), green chillies, garlic, ginger, cloves and all the roasted ingredients, with about half a cup of water, until a thick paste is formed. Place a skillet/vessel on medium heat. 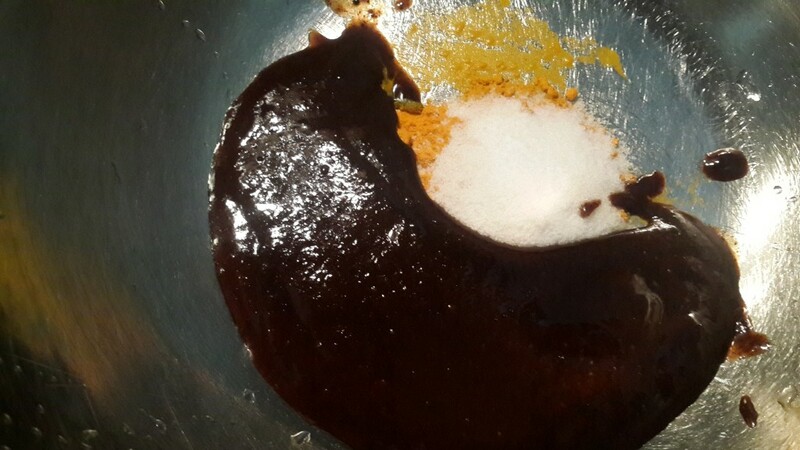 Add the oil to it and let it heat up as well. The oil should never smoke – any ingredient tossed into the oil at smoke point will burn. While the pan and oil are heating up, slice the medium onion. Sauté the onions till they turn a lovely golden brown. Place the marinated chicken pieces over the onions and without stirring, allow the chicken to brown a little – say for about 2 – 3 minutes. 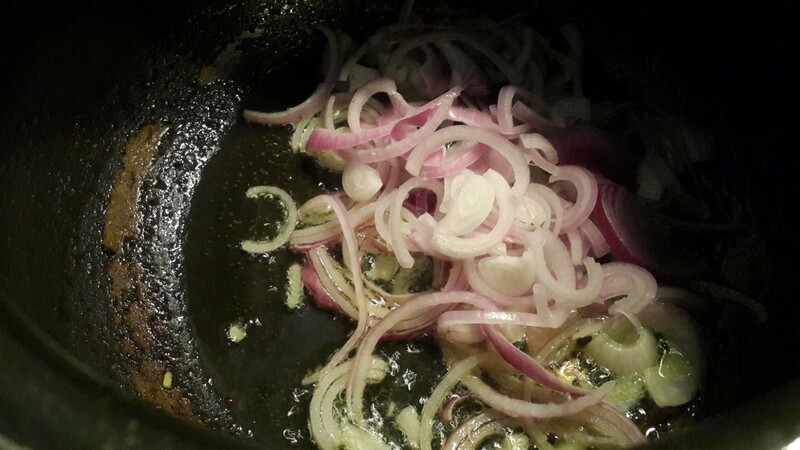 Then, toss the pieces around in the oil and onions, and allow to cook for about 5 minutes. 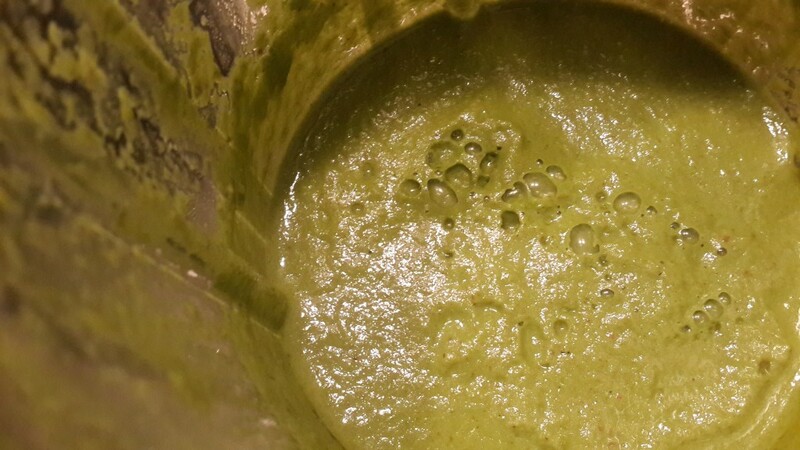 Add the green paste, which you ground earlier, to the skillet. Toss the chicken around in the green sauce. 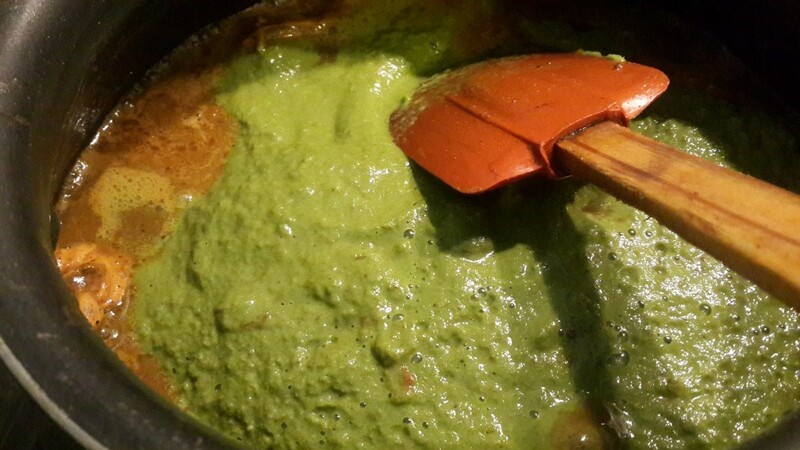 You’ll notice the green paste and the brownish chicken marinade come together to form a dark green, thick gravy. Add the tomato ketchup and adjust the salt. At this point, add water to your liking. About 1.5 cups of water will allow the chicken to cook and give you a semi-dry chicken, which can be eaten plain as an appetizer or with rotis (Indian bread) or bread. Anything more than that, say 3 – 4 cups of water, will cook the chicken and give you nice gravy, which will go perfectly with hot rice. 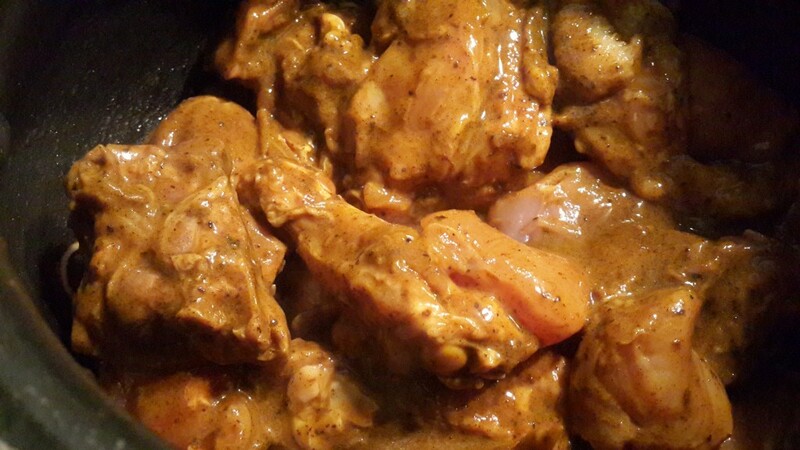 Cook the chicken until fully done, say about 10 – 15 mins, or until the gravy has thickened enough. Note that if the gravy is too spicy and you can do with a little more sweetness, add some more ketchup; but avoid making it too sweet. Serve hot as an appetizer or with rotis; or then with rice as the main meal. Bon appétit! Hey is it possible that U could post the recipe for that 8-9 sauce?